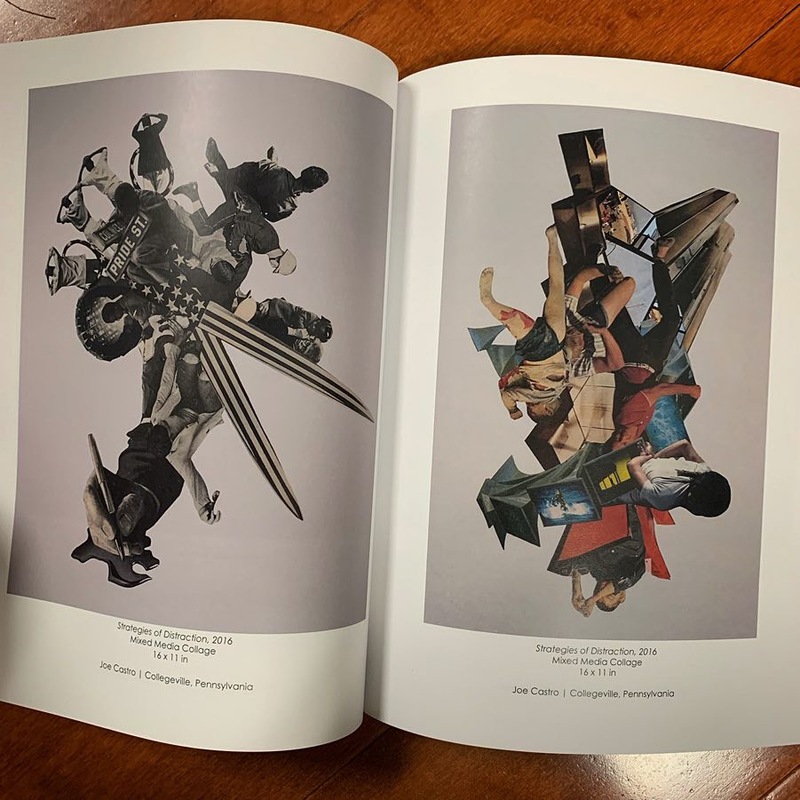 I was honored to have two of my collages selected for inclusion in Click_Bait, the Fall 2018 issue of Dab Art Quarterly. This issue, which was also an online exhibition, featured work of a political nature. My two pieces were Divided We Fall (mislabeled in the book) and Strategies of Distraction. There are lots of great pieces in this issue. I especially like work by Earl Chuvarsky and Candice Flewharty. You can purchase a copy of the book here. 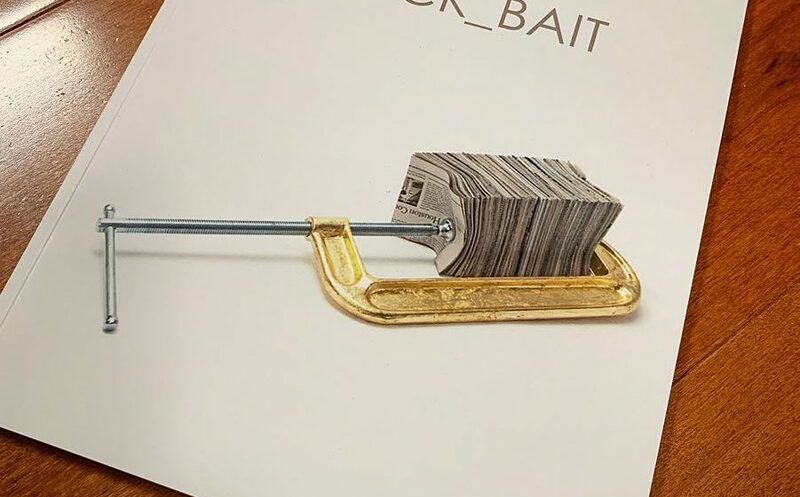 Dab Art is pleased to announce the first installment of our quarterly arts publication and online exclusive exhibition, CLICK_BAIT. Contemporary journalism is currently being presented in unprecedented formats. The majority of the public receive their news stories from social media outlets like Twitter and Facebook. With terms like fake news, yellow journalism, and clickbait, it feels as though we live in a time where fact is dictated by “likes” and truths can be outweighed by opinion. Left, right or libertarian, all news is seemingly bias based on the recipient’s personal algorithms rather than simply factual or pertinent. Are catered news sources changing art and artist perspectives? Or are todays artists more informed than ever before, creating works representative of voices more informed than ever? This exhibition explores various views on current political, geopolitical, and social issues from a selected group of contemporary artists.